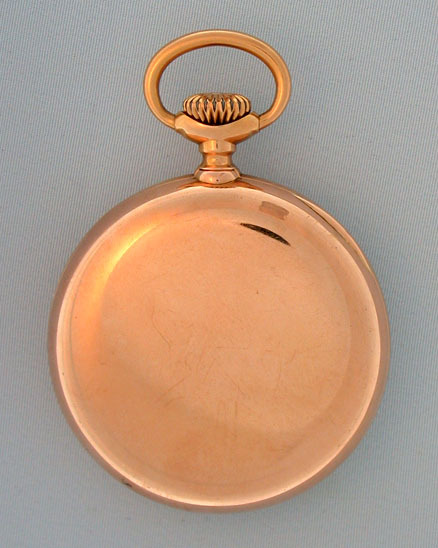 Fine Patek Philippe 18K gold 20 jewel antique pocket watch with unusual balance circa 1894. 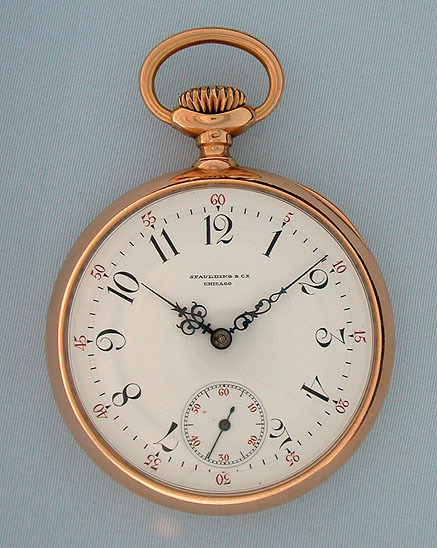 White enamel dial (hairline and edge chips under the bezel) with red and black numerals and blued steel hands. 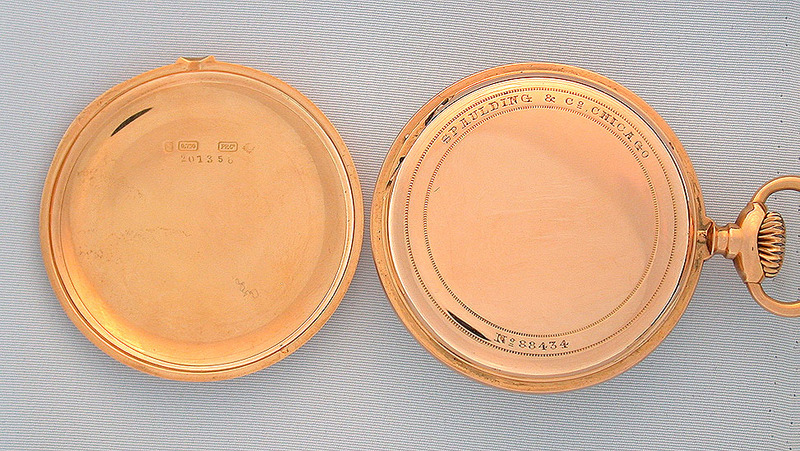 Plain polish case with snap off back and hinged dust cover. 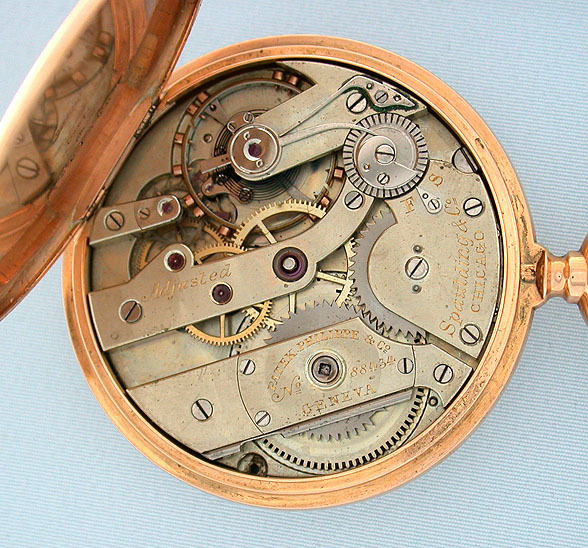 Nickel 20 jewel movement (minor scuffing) marked "Adjusted" with wolf's tooth winding, precision regulator, and with what is probably an early form of Guillaume balance.